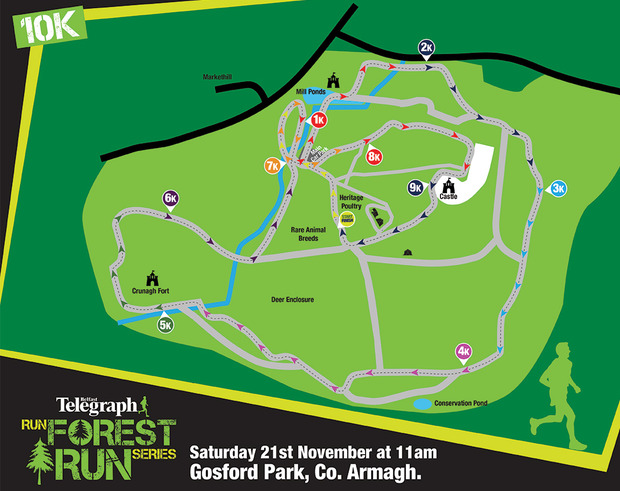 Gosford 10K is the second race in this year’s Belfast Telegraph Run Forest Run Series organised by Born2Run Events. Gosford Forest Park comprises some 240 hectares of diverse woodland and open parkland and is set in gentle rolling drumlin countryside. 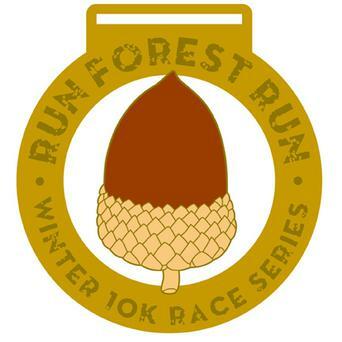 The course is a mixture of road and forest track taking you through dense woodland and past Gosford Castle which has featured in Game of Thrones. Don’t forget to look out for the red deer grazing close to the start/finish line. Join us and enter online. Free parking for all runners, please car share where possible and follow marshals instructions for parking. 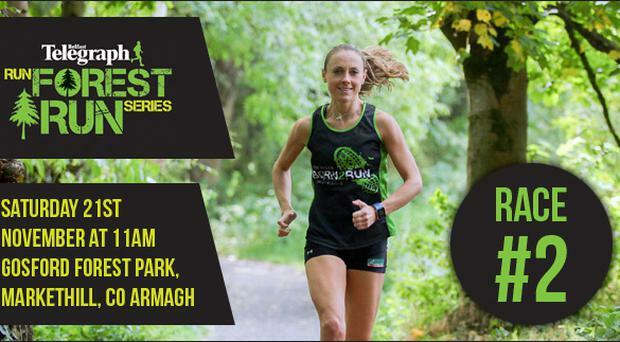 Registration packs can be collected on the day at the building behind the Café, where refreshments will also be served after the race, and will be clearly signposted from the car park on the day. Strictly no pets allowed to run the RUN FOREST RUN race with owners! There will be no water station on this 10K route so if you require water please make arrangements to carry it with you. Toilet facilities are available in the main car park toilet block. Complimentary refreshments will be served in the building where Registration packs are collected, at approximately 12.15pm. Running shoes are suitable for all the terrain on the 10K route. 1. What footwear is best for the race? There is a car park in the grounds of Gosford Forest Park which will be free to entrants on the day, however we would encourage car sharing where possible. 3. What does my entry fee include? 4. Where is the event registration area? In the building behind the main café, which will be clearly signposted from the car park on the day of race. 5. Where does the Race start? On the Road outside the Registration Building. 6. Will I receive any information in the post prior to race day? Confirmation of your race entry will be sent to you automatically via email from Paypal after your payment is made. If you choose the option to have your Race Pack posted out to you before the day then this should arrive with you no later than Wednesday 18th November 2015. Otherwise your race number and chip timing will be given to you at Registration on the morning of the race. 7. Will I have to sign a disclaimer? Yes, by entering the race you will be bound by the event disclaimer which you agreed to at time of registration.